Hola everyone! How was your Wednesday? I'm actually having an exhausting day both physically and mentally. However, I couldn't complain because I'm actually loving what I'm doing. Thank you Lord for the endless graces. Anyway, last Monday, a letter from the post office arrived telling me I have a package to claim. 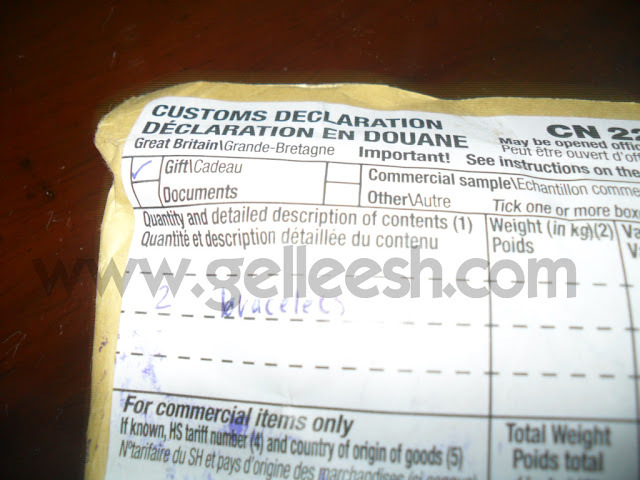 Don't get me wrong, I love packages; but I hate facing the customs people. I don't know why the customs tax and stuff are so expensive here in the Philippines. But, thank God for work. I didn't have to face them as I asked my mum to go to the post office instead. 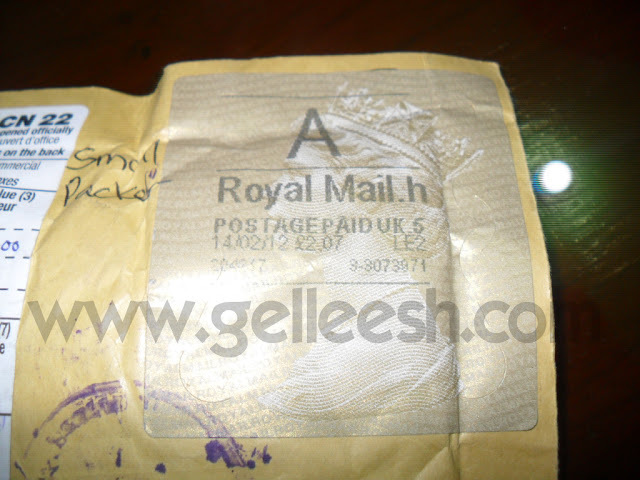 What arrived for me is in a small package with the label, "A Royal Mail." Well, it's not really a label. It's the stamp. 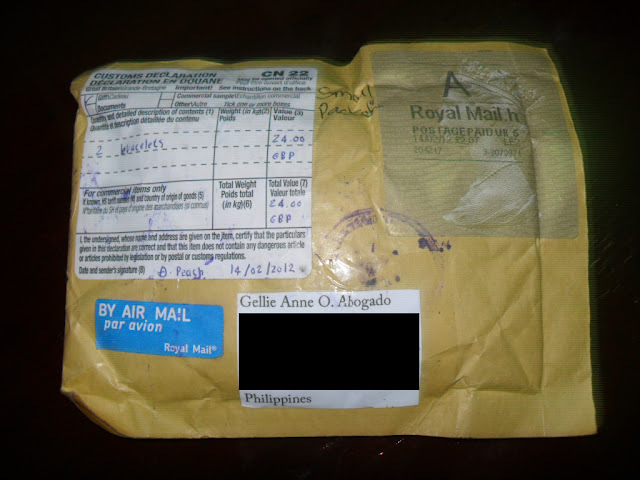 Yup, the package came from the United Kingdom and I already have an idea who sent it. 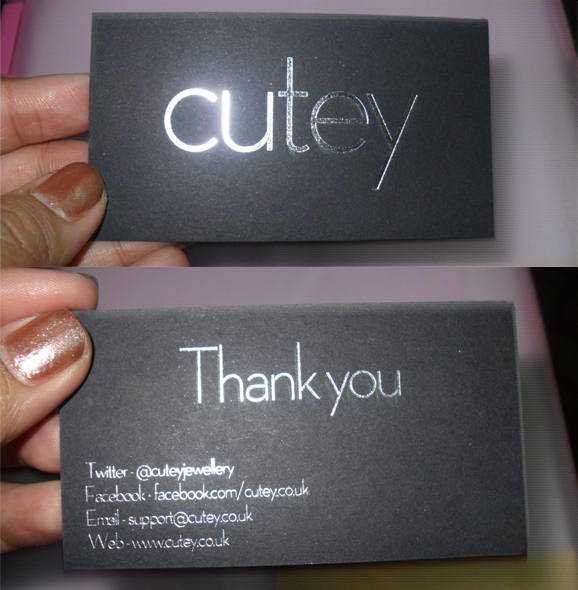 Last month, I received an email from Amanda of Cutey.co.uk about their line of accessories. Their pride products are their very classy and definitely cute charm bracelets. I was so excited to go home and check out the charm bracelets; and when I opened the package, I know I'm gonna be in love with these charm bracelets. Amanda sent me two of 'em and my mom and sister loved it. They're asking me for it; but I agreed to just let 'em borrow the bracelets. I mean, hey, it's mine and it's definitely cute. I really don't want to go into details about this bracelet because I'd be posting my review of them in a separate blog post. I will show you the details and the charms it has. I'm so loving it. Can't stop staring at it right now. Thanks Ashley and to the Cutey family for these awesome bracelets. I really do appreciate that you chose my blog to show your gorgeous charm bracelets. Oh, and aside from the Cutey Charm Bracelets, I bought something from Get Laud today. Thanks to Joanna for the discount card from Get Laud, I got this *beep* for less. I'm gonna be wearing this on a separate outfit post soon. The bracelets look cute. 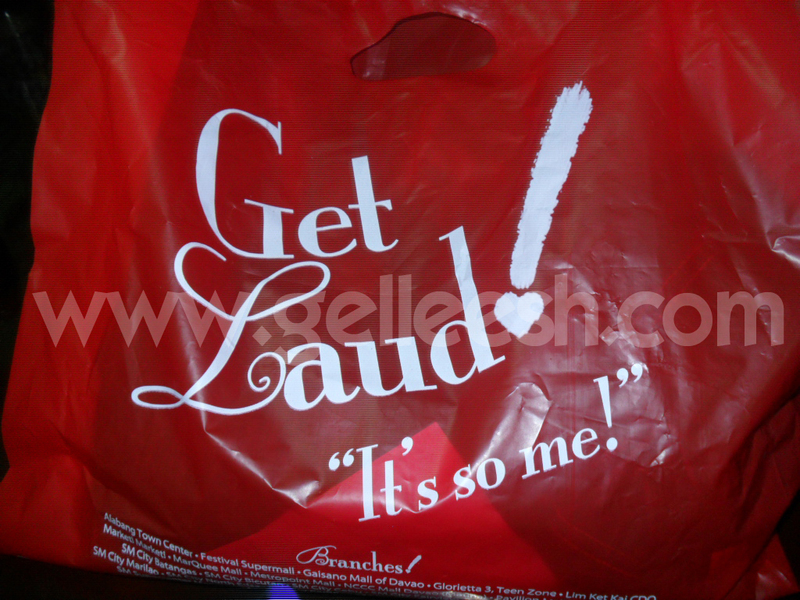 I buy dresses from Get Laud as well! Love their outfits!